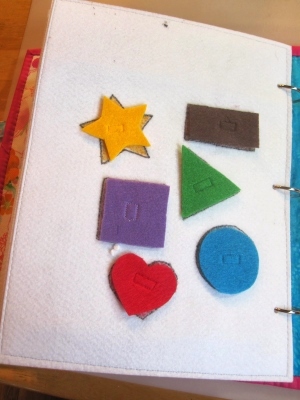 When I made my first quiet book, I bound it like my mom had bound the quiet book I had as a kid - I sewed button holes in the sides of the pages and connected them using binder rings. 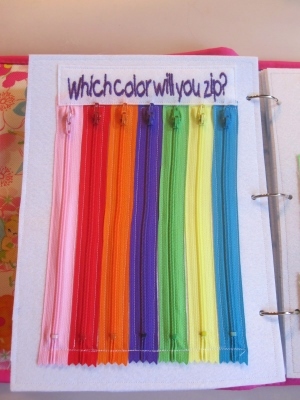 This option is easy and functional, but I kind of wish I had known at the time about quiet book covers! Since the time I made my own book, I have seen so many cute quiet book covers and wish I had made one for my kids' quiet book. 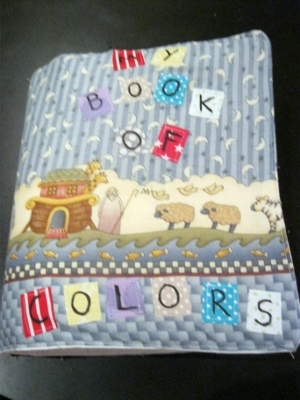 Today's quiet book has an adorable cover, made by Jan of "Jan's Art Friendzy" for her granddaughter. 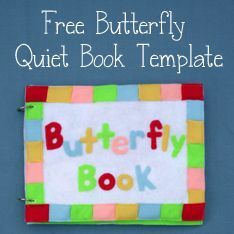 She made the quiet book cover just like she makes her quilts, and it gives the quiet book a really cute, really sturdy look! I love the handles she added and the velcro clasp. 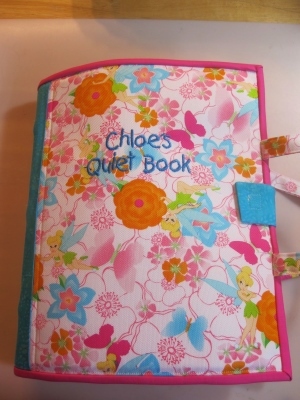 You should really check out the cover she made on this earlier quiet book, too - I love it. It's very quilt-style, and just adorable. The pages in Jan's book are fantastic, too. Everything looks very clean, sturdy, and well-made. 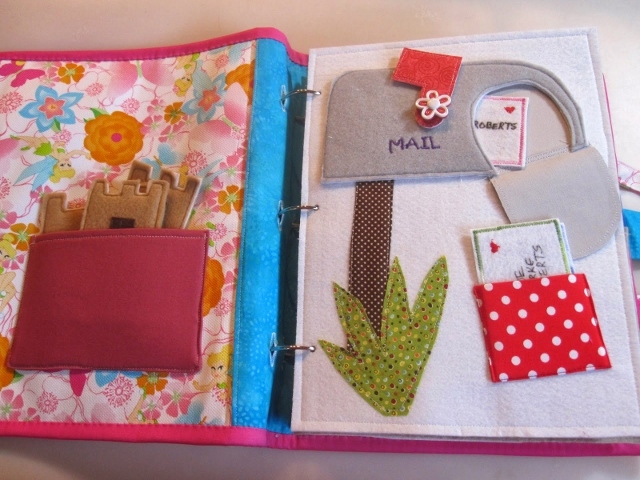 I like the details she added, like choosing fun patterned fabric for plants, pockets, and other things. Anyway, I'll quit rambling so that you can enjoy Jan's awesome book! 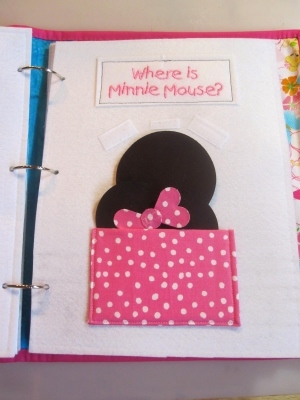 I made the book for my granddaughter's 2 year birthday which was at the end of April. 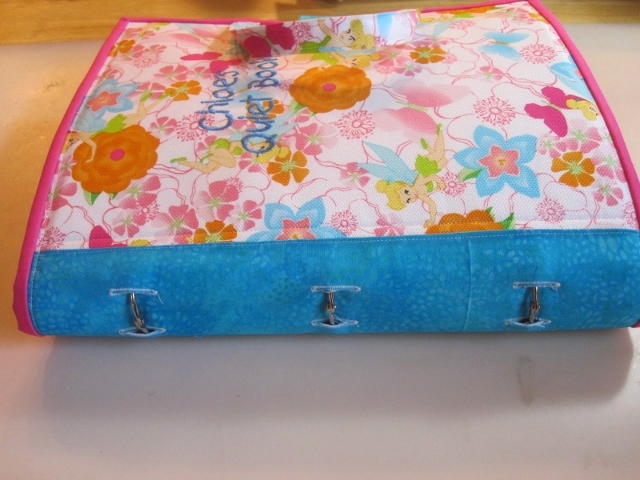 I made the book over a couple weeks of sewing an hour here and there in the evening. Most of the time spent on the book was in the planning stages. 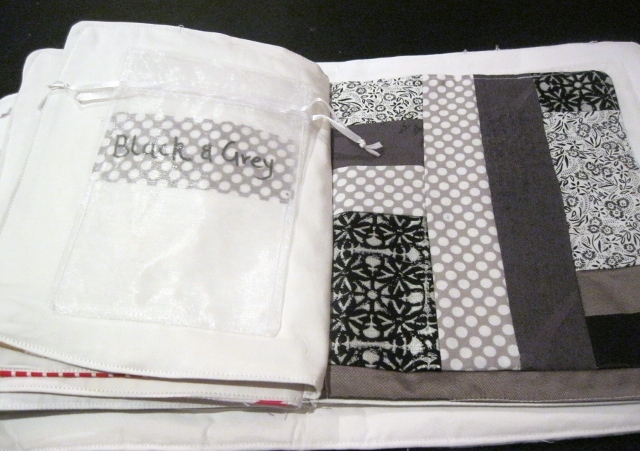 I decided to bind the book just as I bind my quilts. I really like the finished look it gives the book. I wanted Chloe to be able to carry it with her so added handles. The pages are made from a very firm pellon (can't remember the number) but it is called ultra firm. I also used lots of felt and some fabric and buttons. I'm not sure of the cost of the book since I used supplies I had on hand. 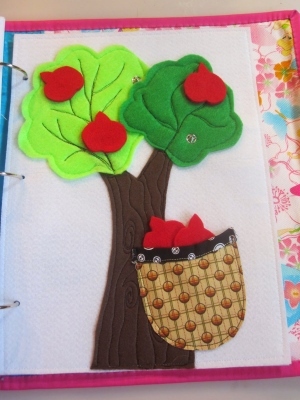 I made a Quiet Book for another granddaughter several years ago and had felt left over so used that. I think my favorite page in the mailbox. I wrote a birthday post card to Chloe and put it in the mailbox. 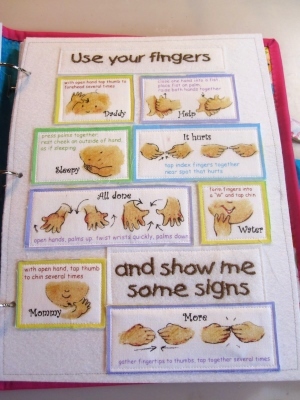 To view Jan's quiet book on her own blog, click here: Jan's Art Friendzy: My Granddaughter's Quiet Book. 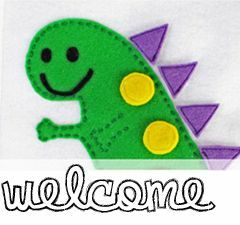 To check out her other quiet book, click here: Jan's Art Friendzy: Quiet Book. 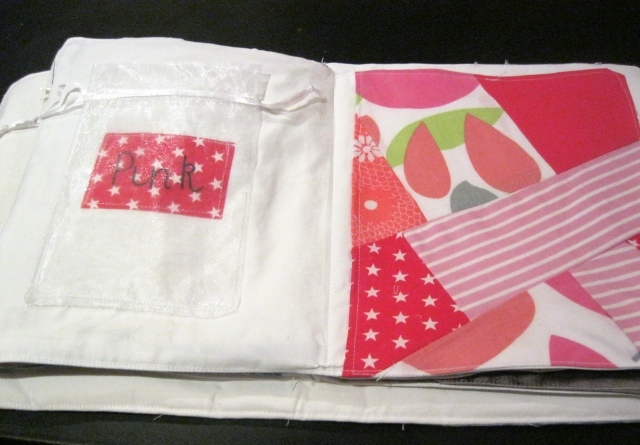 Thank you for sharing your beautiful quiet book with us, Jan! 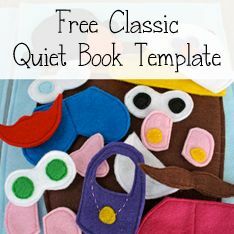 Last year I was able to share with you an awesome quiet book made by Nadia from the blog Basically Burt, and today I get to share another quiet book of hers with you! 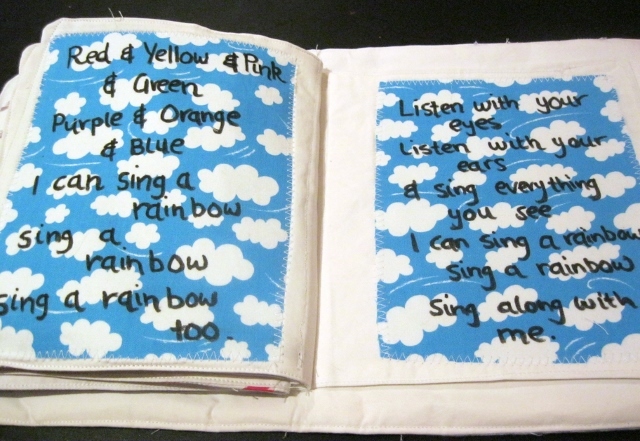 Nadia recently made a colors-themed quiet book for her son. Many colors-themed quiet books are mostly touch-and-feel books, but Nadia wanted to add some activity to the book. 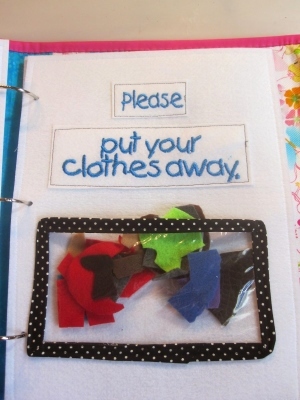 To do so, she added pockets to each page and things that her son can color-match to the different colors. What a great idea! If I ever make a colors quiet book I think that I'll copy that idea. :) She also added a song about colors at the end, another really fun idea. So, enjoy Nadia's new book! My name is Nadia.I am a busy mum of one from Melbourne, Australia. 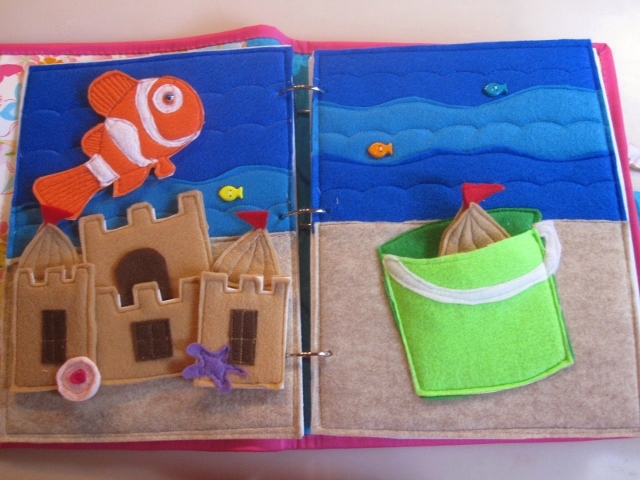 I made this book for my son who is 18 months old. 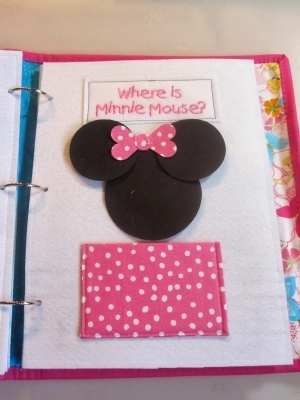 I had previously made a more elaborate quiet book but wanted something simple that he could begin to use now. 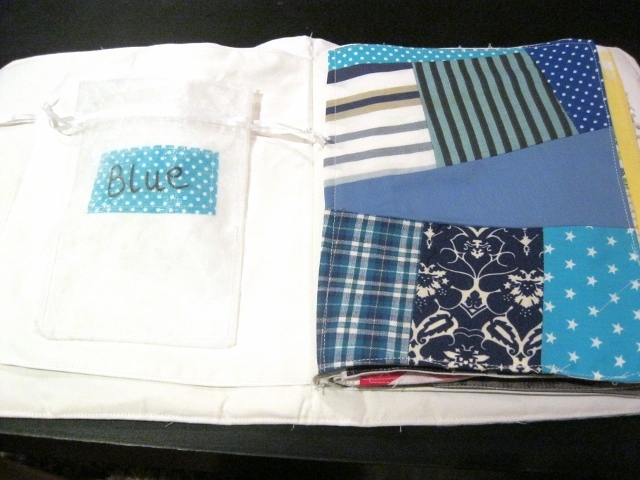 I got inspiration from a color quiet book floating around on pinterest which has beautiful patchwork pages. 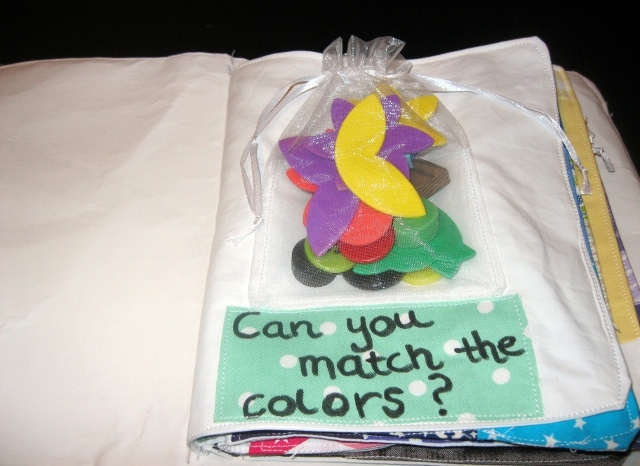 I however wanted to add an activity to the book, which was when I though of color matching and putting things in bags (which are both activities my son loves at the moment). I am not a beginner, but am by no means an expert. 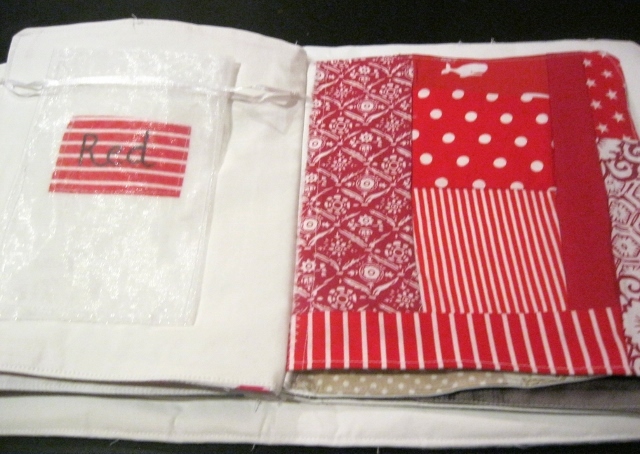 I enjoy patchwork, quilting and have made a couple of quiet books previously. This book was fairly quick to make. I made it over three days in nap times and at night. It probably took about 10 hours in total. I used no templates. 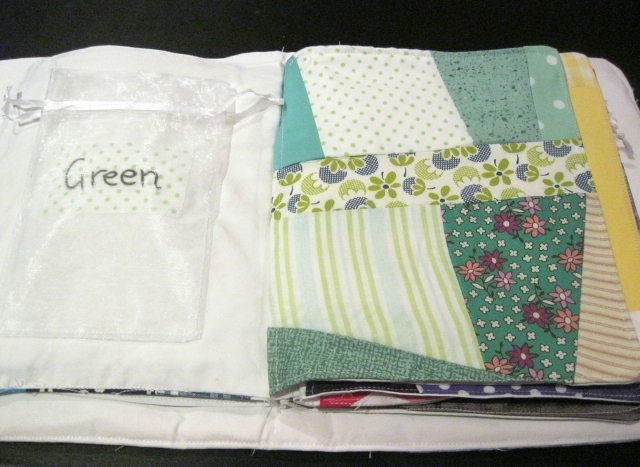 I simply got my scraps of material and sewed them together until they were big enough to sew onto a double page. 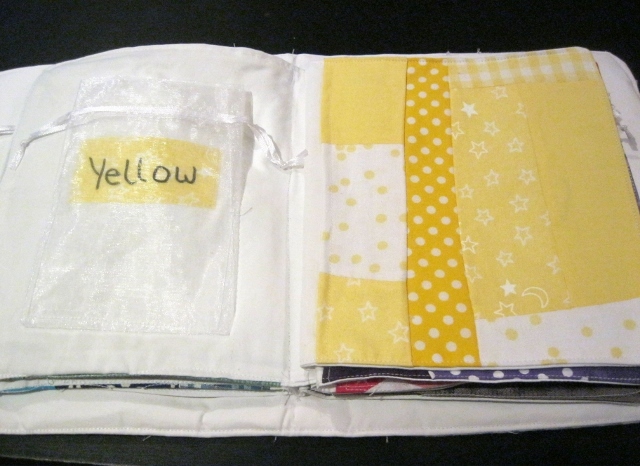 I simply sewed all the pages together down the center of the cover (and a couple of pages to each other). 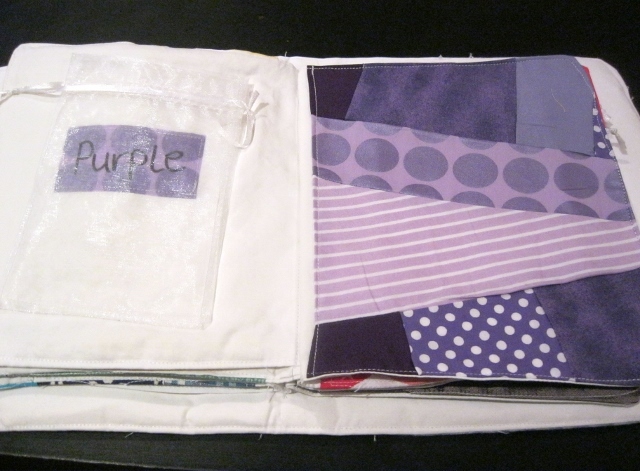 The pages are made out of my scrap patchwork material, sewn together. 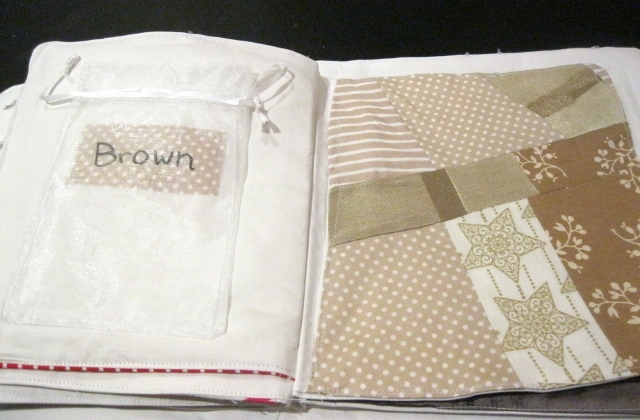 These blocks are sewn onto a page which is made out of bedsheets a family member no longer wanted. The front cover is made out of fabric from an op shop. I used organza drawstring bags to put the colored objects into (as I wanted something see through). 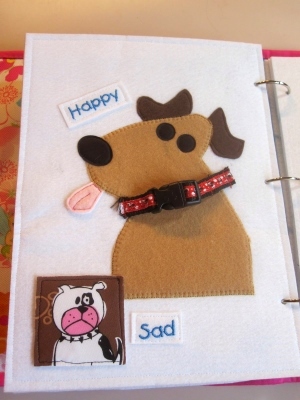 I also used fusible interfacing to help attach the words and letters to the pages before sewing them. I used a fabric marker to write the words. The colored objects to match to each page are buttons and foam shapes that I found at a $2 shop. Given lots of my materials were second hand and scraps, this book cost very little. About $10 Australian all together. Its hard to have a favorite, given that all the pages are the same. I do like the colors in the blue page! 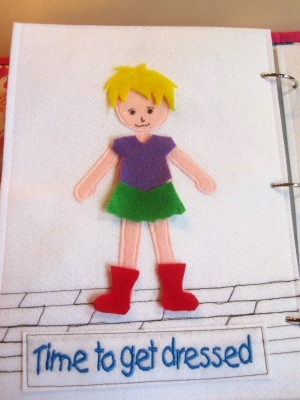 To view Nadia's quiet book on her own blog, click here: Basically Burt: My Quiet Book. 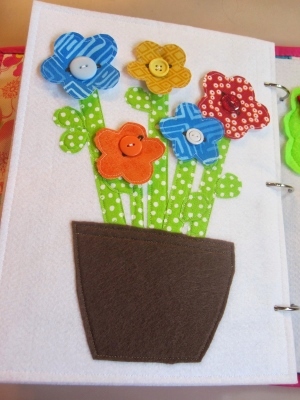 Nadia, thank you so much for sharing your cute and smart colors quiet book with us!